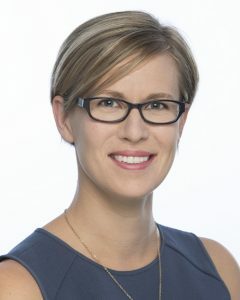 Dr. Jennifer MacLean is the Executive Director for SOSCIP, a unique R&D consortium based in Ontario which uses advanced computing to drive industry innovation. In this role, Dr. MacLean has supported the launch of more than 100 collaborative R&D projects which are delivering meaningful outcomes for Canadians and supporting the growth of Canadian companies. Dr. MacLean first joined SOSCIP in September 2016 as the Operations Manager. Prior to SOSCIP, Jennifer worked with Mitacs for over 5 years, serving on their business development and program management teams. Jennifer has a BSc in Genetics and a PhD in Medical Biophysics, both from Western. She is originally from rural Saskatchewan.